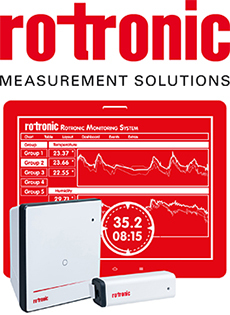 Rotronic is a leading manufacturer of precision Temperature, Humidity, Moisture, CO2 and Differential Pressure measurement products. Customers in the pharmaceutical, food, paper, brick and many other industries specify Rotronic products. They are also used by universities, accredited test laboratories, research organisations and for OEM assemblies. 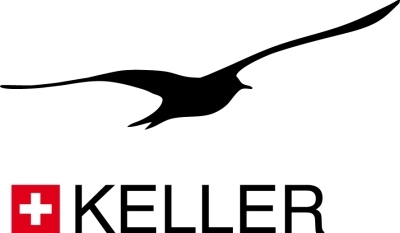 The wide product range includes handhelds, data loggers, a secure wireless system, remote monitoring system (RMS) with data access on any device, anywhere, probes for all applications including ATEX types, measurement transmitters with analogue &amp; digital outputs, meteorological products, water activity analysers and OEM products. A range of calibration accessories including traceable %rh standards and the HygroGen2 portable calibrator and XL calibrator are available. We have UKAS accreditation for temperature, humidity and dew point calibration; all manufacturers’ sensors can be calibrated.